Sedona Spice: All the Best Views, Vistas & Value. Property 2: Sedona Spice: All the Best Views, Vistas & Value. 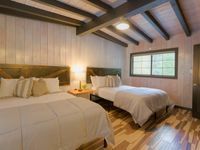 Relax in a Cozy Hideaway for Two, close to everything, and pet friendly. Property 4: Relax in a Cozy Hideaway for Two, close to everything, and pet friendly. Property 14: 'Lover's Nest' Sedona 5th-Wheel Rec Unit w/ Patio! Casita Red Rock is a true vacation cabin nestled within the RED ROCKS! Property 16: Casita Red Rock is a true vacation cabin nestled within the RED ROCKS! Property 22: Cabin Fever !!!!!!!! Book now to snuggle by the fire and enjoy the cold mountain air! Property 24: Book now to snuggle by the fire and enjoy the cold mountain air! Family/Pet friendly, Mountain Biking Heaven, Heart of Red Rocks farm oasis. Property 26: Family/Pet friendly, Mountain Biking Heaven, Heart of Red Rocks farm oasis. 20% Off 7-night Stay with 25% Down! Book your Spring/Summer/Fall Vacation here! Property 28: 20% Off 7-night Stay with 25% Down! Book your Spring/Summer/Fall Vacation here! Serene 1BR Sedona Area Cottage in Wine Country! Property 30: Serene 1BR Sedona Area Cottage in Wine Country! Paradise in the Pines - Perfect Getaway up North! Pet Friendly! Free Firewood! Property 37: Paradise in the Pines - Perfect Getaway up North! Pet Friendly! Free Firewood! Creek Front Cottage in Oak Creek Canyon! Property 46: Creek Front Cottage in Oak Creek Canyon! 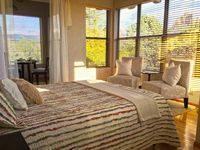 *LARGE LUXURY MOUNTAIN GETAWAY SPECIAL OFFER! Jan/Feb Book 3nights Get 1 FREE! Property 49: *LARGE LUXURY MOUNTAIN GETAWAY SPECIAL OFFER! Jan/Feb Book 3nights Get 1 FREE! Beautiful views and a serene setting to enjoy Sedona from.